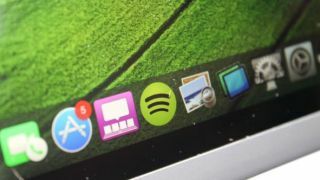 The Dock in Mac OS X is incredibly convenient for keeping your most-used apps and files a single click away. It starts out clean and fairly small, but after years of use, the Dock expands and changes based on what you put in it. During that time, however, it can become messy, cluttered and unwieldy. In this article, we'll show you how to clean up your Dock and reset it to the default layout without a clean install or creating a new user account. Enter this command in Terminal to reset the Dock. With this command entered, press the return key on your keyboard. When you do, the plist file that holds the preferences for the Dock will be removed, and the Dock will spring back to life, completely clean and fresh, just like it was minted from the factory. This will also remove any Dock settings that you have in preferences, such as the icon size, the positioning, and more. If you wish, you can these preferences back through System Preferences > Dock.